AMC Conditions: The Pinkham Notch Trifecta! 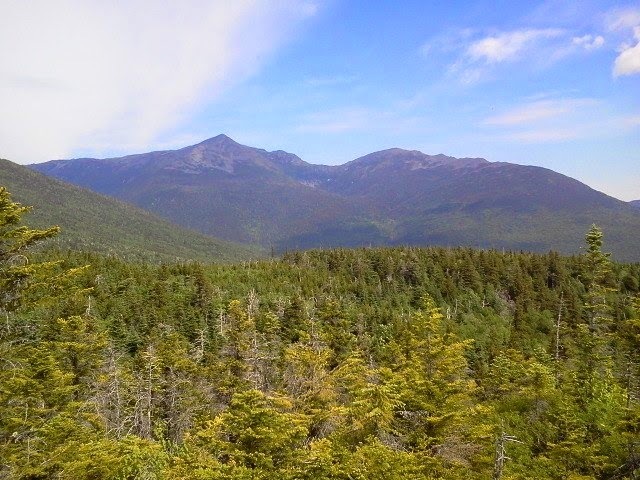 There is a great network of trails that are fantastic for short day hikes with some stunning views here at the Pinkham Notch Visitors Center/Joe Dodge Lodge. This past weekend the summit was incredibly windy with sustained winds around 60 MPH and gusts over 90 MPH which made these lower elevation hikes much more appealing and enjoyable. Some of our most popular hikes are to Lila's Ledge, Low's Bald Spot and Square Ledge (the trifecta). The weather for the next few days is looking great with a mostly sunny forecast making these hikes great opportunities for some fantastic views! Lila's Ledge begins here at the Pinkham Notch Visitor Center and meanders up Old Jackson Road about 0.3 miles. After crossing a small bridge keep an eye out for the Crew Cut trail that brings you up to Lila's Ledge. While it is a short trail, it is incredibly diverse with parts of the trail that are easy walks and parts that increase in elevation quite quickly. Even though the hike may have some challenges, it's a beautiful trail with great views into the valley! 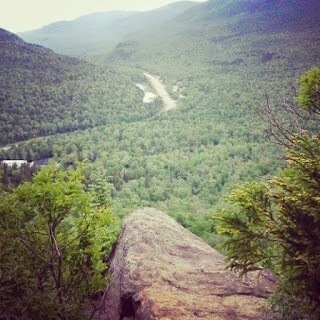 Low's Bald Spot is a longer hike than Lila's Ledge, about 2 miles (one way) from the Pinkham Notch Visitor Center. While it is also on the Old Jackson Road the trail climbs at a moderately easy pace at a relatively low elevation with about 750 feet of elevation gain over the course of 2 miles. About 1.6 miles into Old Jackson Road trail the signs indicate to take a left that steadily continues up rock steps, but straight ahead is a ski trail marked by blue plastic tree markers. If you continue up the direction the sign indicates then you will continue on Old Jackson Road, while the ski trail straight ahead will take you away from Low's Bald Spot and is not marked on the map. Once you hike past this point you will reach the 2-mile point of the Mt. Washington Auto Road. From there it is an easy and enjoyable hike up to Low's Bald Spot! At the top of Low's Bald Spot you can have a beautiful view of the northern part of the valley, Mount Adams, Mount Madison and Mount Washington. Square Ledge is a more steep but short hike. It is 0.5 miles from the trail head to the summit, although hikers looking for a longer walk can venture over to the Lost Pond trail, which is adjacent to the Square Ledge trail. Although short, Square Ledge offers incredible views of Tuckerman Ravine and Mt. Washington. Additionally, the interesting terrain of the ledge makes it a popular spot for rock climbers as well as hikers. Here on a rainy day? There are also some great waterfall hikes nearby the Joe Dodge Lodge as well. 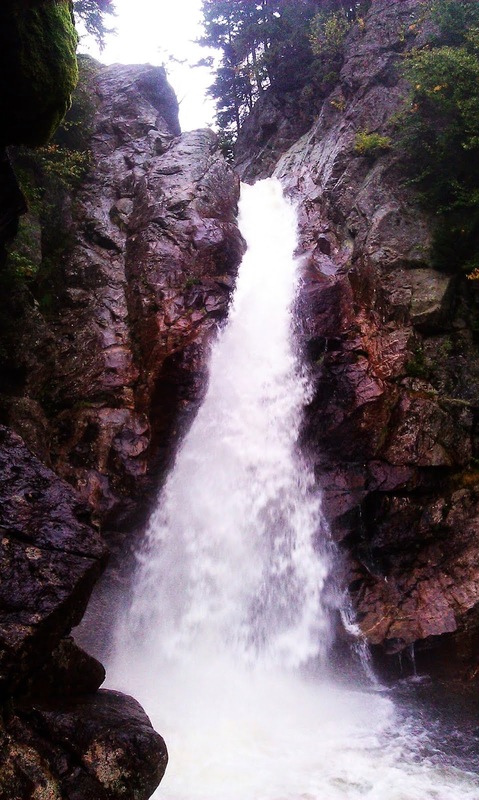 Crystal Cascades are an easy 0.4 mile hike from the AMC Pinkham Notch Visitors Center/Joe Dodge Lodge. This is an ideal hike for families with young children. From the Visitors Center you follow the Tuckerman Ravine Trail crossing a bridge over the Cutler River, then up a slight hill you will reach a stone staircase leading to the view point of the Crystal Cascades, a beautiful volcanic vent. On Route 16 0.7 miles south of the Pinkham Notch Visitors Center is Glen Ellis Falls; a beautiful 64 foot waterfall.This trail is about a 15 minute walk from the trailhead, or you can also make a great 2.5 mile scenic loop using the Diritissima trail and the Lost Pond Trail. Please keep in mind that there is a river crossing so during rain events it is not usually passable. If you are staying here at the Joe Dodge Lodge we have a great Demo Center that you can test out boots on your hike from LOWA, hiking poles from Leki and backpacks from Deuter and Gregory for free! The Demo center is located near the check-in desk at the Joe Dodge Lodge and you can get gear during the normal operating times of 6:30am-10pm 7 days a week!